If you’ve ever gone for a walk with your pet dog or emotional support dog, you just may have dreaded the time when your dog tops and decides to do its business. Great, now what? You may not have been prepared for this and simply thought it wouldn’t happen. Plus, there are people standing nearby and leaving it there wouldn’t be a good idea. Well, this guide is just for you! Maybe you’re not too far from home and the socks you’re wearing are old. If that is the case, use a sock and grab the poop. Then, once the waste is collected, turn the sock inside out. Now the poop is contained and out of sight! We won’t assume that you’re rich. But maybe you’re walking with someone you want to give a good impression to. If you are carrying a lot of one dollar bills, consider using them to throw the poop away. It isn’t the best option, but it’s an option! Are you fortunate enough to be hiking or surrounded with many trees? If so, great! Collect some nearby leaves, make sure they aren’t poison ivy. Now, use those leaves to collect the poop and then throw it away elsewhere. Thanks nature! Did you happen to be reading a newspaper or some hand-out before this happened? If you were going to be throwing away that piece of paper, why not use it now? Collect the waste in the paper and throw it away later. 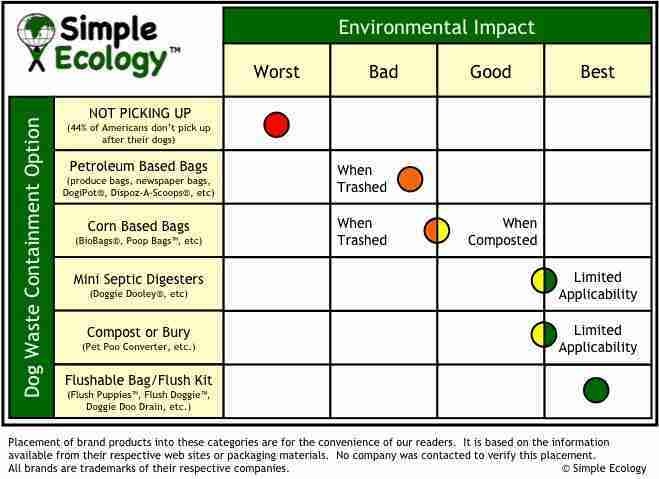 Do you have a starbucks coffee cup or some other sort of disposable cup handy? You can easily use a cup to scoop up the poop and walk it to a nearby trash can and dispose of it there. There are many other ways to clean up your dog’s poop. The Dogster wrote a very interesting read a while ago and these methods are very unique too! 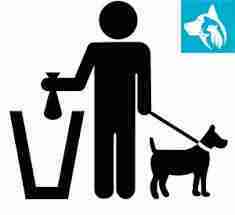 Also, TerriblyTerrier wrote a blog about how to clean up dog waste in your yard with conventional tools. Fun fact, did you know that people make money being pooper-scoopers? Your job of taking care of your dog is a very serious one. Hello, this blog is really nice. 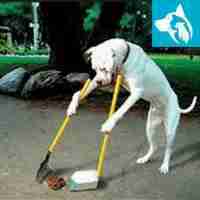 You have described an awesome way to clean up dog poop. I loved your equipments like spare sock, spare cash and disposable cup, etc. Thanks for sharing such an awesome blog.